I took my father fishing on the CJ Victoria with Captain Rob and had a great trip. 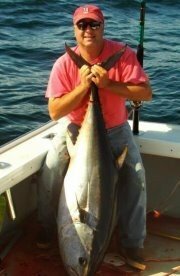 Captain Rob put us on some great fishing and he knows all the good spots around Boston Harbor. We caught a real nice striped bass! Cant wait to go out on the CJ Victoria again.